Guru Sri Subramanium taught contemplation both as a prelude to the more rigorous discipline of meditation, and as an essential practice in itself. Contemplation does one special thing to you; it heightens your awareness. Contemplation trains your mind to know the causes and effects you set in motion from one moment to another, instantly. After you have done many sessions of contemplation you become heightened in your awareness. A regular five to ten minute session a day of contemplation will improve the quality of your relationships amongst your fellow men. You will react in a different way to various situations that at one time you were not prepared for. When you go through many months of contemplation on a regular basis, then it becomes a habit for you, very quickly, to analyse things and present them more beautifully. You are in total control of yourself. You become hyper-sensitive when you contemplate. You know how to handle every situation that is presented to you, and you then begin to become very mindful of everything that happens around you. You can anticipate a particular situation. Before you meet somebody, you know exactly what they are going to do, how they’re going to do it, and the way you’re going to react. You are in control of everything. That is the way I function! You can change their whole attitude because you are the master. You will be heightened in your awareness and your senses will be that much more refined if you contemplate every day. 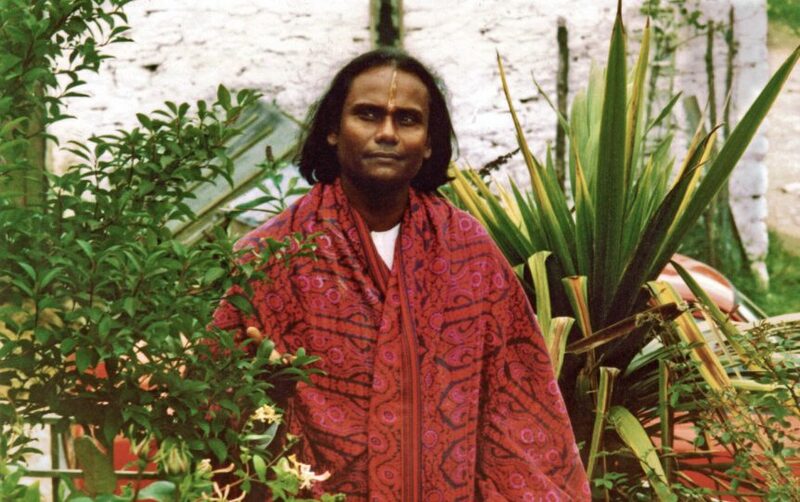 And when you meet Guruji next time, you will present yourself in a different way, a congenial way, a loving way – you’ll take him a box of chocolates! Hmmm?! Now, when you become really successful with contemplation you will not miss anything. Nothing. [Guru looks around the room]. One look like this… and you will be able to penetrate all the people’s minds… everything. And that is what contemplation does to you. It heightens your awareness. You know exactly everything. When I look around I know what you’re going to think and what you’re going to say because my heightened mindfulness through experience teaches me so. You think contemplation is just thinking of a few things, then calling it a day? No! You advance from contemplation into a different realm of consciousness. It perfects your senses, it refines your senses and makes you aware of their higher functions. Being honest with yourself is contemplation. Being honest to understand, from the top of your head to the tip of your toe, what has been happening in your day. Your five senses will function at their best after contemplation because you will know how to handle your eyes, how to handle your hearing, how to handle your prana, how to handle your voice. What you say, the way you say it, the way you use your heart, your hands, your senses. You become the master of your ship. You learn to put power into your eyes when you look at somebody. You learn how you can pass an impulse to a human being without saying a word. That is what mastery of your senses is about! If you know how to present your voice, how to present the vibration of the sound of your voice, you can change the whole atmosphere that surrounds you. It is a powerful weapon. Concentration will enable you to know what the results of your previous presentation were like and how you can improve it and make it rounded, so that you are in control of whatever situation that you are going to create. You will never fly off the handle with anger and hatred. You won’t make mistakes that other people make (or you have made previously) because you have understood the necessity for your presentation to be adjusted. You become wholesome for other people; they will have harmony with you. You will be so well disciplined, that your work will improve. You won’t postpone anything. You will do it immediately. You will make sure that everything functions properly, and it is to your advantage to do so! And I measure how well they’re going to answer me. If they have thought out their reply, then I know they will achieve it well. If they just off the cuff repeat something to me, then I know they haven’t contemplated what they were going to tell me. I know it will never be achieved. If you say something, please say it after having thought about it very carefully. And know that you are held to that which you say. The more you contemplate, the more people will realise you are reliable. Spirituality is about reliability. If you are not reliable, what is spirituality? Can you imagine – if you are not reliable, how you meditate? Your mind is in turmoil! Your job is to still that mind, to be accountable in that mind. To be responsible in that mind, and then be able to free yourself, and then go out of your body. If not you are deluding yourself. The essence of contemplation is having the courage and conviction to correct yourself and represent the way you live, the way you think act and speak. It’s very important. No fear! If possible keep a room set aside only for devotion. If that’s not possible then screen off a section of your room with a curtain. Take a shower before you enter your prayer room or shrine. Wear fresh clothes that you use only for prayer and contemplation. Sit down. Relax. Keep your straight spine, and consciously relax each muscle throughout the entire body. Don’t force yourself to sit in the lotus position if it’s going to cause you discomfort. Watch the undigested thoughts arise in your mind. If a thought feels particularly significant or stirs an emotion, then take time to look at it objectively. Feel the quality of it dispassionately, without adding more layers of emotion and thought noise to the mix. Over time, let go of that particular thought. Gently, offer it to the Divine with love. Create space and quietness to allow a fresh understanding or perspective of the matter to dawn in your mind. Quietly resolve to act, speak or think differently, with heightened understanding, next time. Don’t beat yourself up if it doesn’t work immediately. Frustration will come and go naturally. Keep practising. Better to be consistent for 10 minutes at the beginning and end of each and every day, than spend hours one day and nothing the next.